Have you heard about the wise woman of Abel? The story is related in 2 Samuel 20. In Old Testament Israel it is believed ‘wise women’ were women elders who held positions of influence and authority in certain cities. In this particular instance a wise woman of Abel-beth-maacah negotiated with Israel’s most senior military general, Joab, to save a whole town from destruction. It came about this way. Joab and his forces were pursuing Sheba, an Israelite who had risen up to lead a rebellion against King David. Now Joab was no lightweight when it came to battle hardness. He had been commander of David’s army and led successful campaigns against many of David’s enemies. He was a skilful leader, both politically and militarily. Prior to arriving at Abel-beth-maacah he had cold-bloodedly executed an opponent by piercing him through with a sword. It appears Joab recognised this woman held an authoritative leadership role for her city that he needed to acknowledge. This is clearly evidenced by his words “I am listening”. In ancient Israel, a military general of Joab’s stature did not halt a siege to take note of the words of any ordinary woman. The wise woman then goes on to point out to Joab that her city has long been known as a peaceful city where people would come to seek wise judgments during a dispute. Choosing her words carefully she makes reference to the fact that Joab is seeking to destroy a city without having first offered peace terms, which was against the Law of Moses (Deut. 20:10). This woman not only holds a position of authority, she is versed in both the Law and the history of Israel. The wise woman of Abel then negotiates terms with Joab, offering to deliver the head of Sheba in order to save the city and its people from certain destruction. Such is her authority to speak on behalf of the city’s elders that she does not first seek permission to enter into such an arrangement – she simply gives her word. The wise woman informs the city leaders of her agreement with the general, Sheba is executed and his head is thrown over the wall to Joab (v. 18-22). A gruesome story, yes, but nonetheless the story of a woman who through her wisdom saved her city and its people from annihilation. 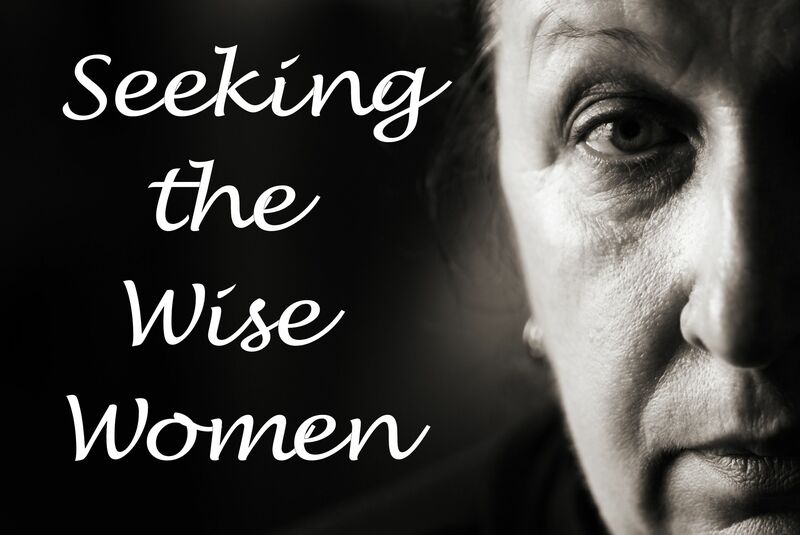 Here at Ishshah’s Story we are seeking out some modern day ‘wise women’: women who will share with our readers some of the wisdom they are gaining as they negotiate life in the power and grace of Jesus Christ. We are seeking those who love to discover and expound on Bible truths that can impact the ordinary everyday experience of fellow believers who seek to know Jesus better through Word and Spirit. So, where are you, wise women? We want to hear from you! It doesn’t matter if you’ve never shared or taught the Word of God before. Your starting point is that deep inner witness that you have a God given message and a God given desire to share it. And if you are one who has had some experience in sharing and teaching from the Bible but wish to spread your wings a bit more, this is also your invitation. Please go to our Her Wisdom Page for the nitty gritty details of becoming a contributor and then contact us. Like Joab, we are eagerly ‘listening’ for the wisdom of the wise women. And so are many other ‘ishshahs’ out there! And if you are more inclined to narrative, artwork, poetry or history please check out Her Journey, Her Voice and Her History, because your beautiful stories are just as keenly sought!